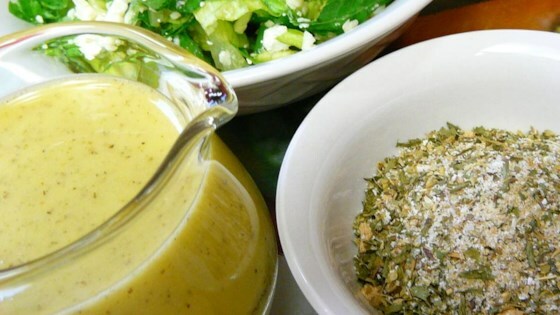 See how to make a quick-and-easy dry Italian dressing mix. This was awesome! I used extra virgin olive oil in place of canola oil and used only 1 tablespoon of kosher salt. Excellent. This will be my 'staple' Italian dressing from now on!